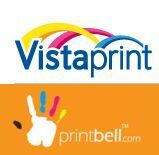 NASDAQ-listed Vistaprint, an online provider of marketing products and services to small businesses and independent professionals, has acquired Mumbaiâ€based PrintBell, a wholly owned division of KPH Publishing and Printing Pvt Ltd, for an undisclosed amount. PrintBell founder and CEO Nilesh Parwani will establish an all-new Vistaprint subsidiary in India and will be the managing director of the new facility. Parwani founded PrintBell.com in 2007 with a vision to provide costâ€effective printing solutions to small business owners. Earlier, he was an investment banker with UBS in New York and then joined the Warburg Pincus private equity team in India. "With the world's second largest population, a rapidly increasing Internet penetration and a huge number of small and medium businesses, we believe that India has great longâ€term potential for Vistaprint. Parwani is well-positioned to lead our strategy in India. With four years of domestic experience and success, we believe he will be highly valuable as we adapt Vistaprint's business model to the exciting and emerging Indian market. Bringing him on board will help us enter the market faster than we could have on our own," said Robert Keane, Vistaprint's president and CEO. Vistaprint claims to empower more than 10 million micro businesses and consumers annually with affordable, professional options to make an impression. The company operates 24 localised websites globally and ships to more than 130 countries around the world. "With a presence in 24 countries, Vistaprint has established itself as a clear global industry leader and I am certainly excited to launch its unique and disruptive platform in India. A combination of PrintBell's local market presence and Vistaprint's proprietary technologies will offer the Indian consumer a new benchmark online service with an astounding priceâ€quality proposition," said Parwani. "A unique product offering ranging from basic visiting cards to customised corporate gifts and even sophisticated, onâ€theâ€fly websites will help Indian business owners enhance their brand image and awareness with just a few clicks. I have no doubt that Vistaprint will emerge as a clear leader in the Indian market for small business marketing products and services in the years to come," he added. Vistaprint recorded $203.7 million in revenue for the third quarter of FY11, a hike of 23 per cent as compared to $166 million posted in the same quarter a year ago. Excluding the estimated impact from currency exchange rate fluctuations, total revenue had gone up 22 per cent, as compared to the same quarter of FY10.